We have so much help for our writing on the internet these days. The following links are just a sample of some current articles and blogs available to help us write our family history. 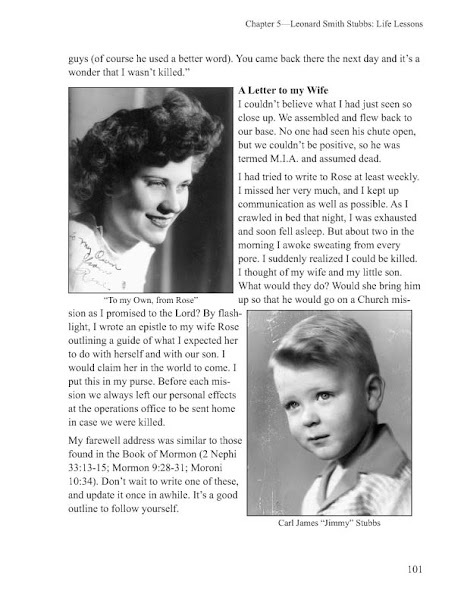 Biff and Nancy Barnes have given us many fine blog articles about family history writing in their Stories to Tell. On January 18, they also explore the idea of putting our ancestor’s lives in a place and time in our world in an article called "Write a Family History Book: Put People's Lives in Context. Here are their great “how-to’s.” http://www.storiestotellbooks.com/blog/write-a-family-history-book-put-peoples-lives-in-context.html. Nina Amir’s blog, Write Nonfiction Now, encourages and teaches us to develop our writing and marketing skills. I found her December 28th post, part of a 3 part series on setting and achieving writing goals, particularly useful. You will find it here: http://writenonfictionnow.com/how-to-prepare-to-meet-your-2013-writing-goals-setting-goals/. Have you been writing sporadically never finishing a story? Have you procrastinated writing your stories for too long? Do you need that nudge to finish your stories and finally publish? Can you see me raising my hand? I’m taking the challenge and will receive lots of great hints and help from Lynn along the way. 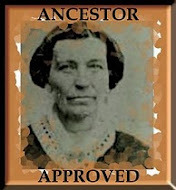 Check it out here http://www.thearmchairgenealogist.com/2013/01/the-family-history-writing-challenge.html and at her forum http://familyhistorywritingchallenge.lefora.com/, then set your own goal and LET’S WRITE SOME FAMILY HISTORY! I shiver a little. Not really with the cold, although this is December 25 and the pre-dawn darkness is a little chilly - just a little, since I am in south Florida. But this shiver is more about my excitement for the coming day. Not since the time when I was 8 or 9, staring into the darkness for the hours leading up to Christmas Day, have I had such a hard time sleeping on Christmas Eve. Well no, what about the times as a young mother, when I lay awake wishing for my young children to awaken and see the gifts we had laid out so carefully late on Christmas Eve. Now it is Christmas Day 2012. I've been anticipating this day for many weeks. Actually, it has been several years since I first conceived the idea of watching the sunrise over the Atlantic Ocean on the east coast and the sun set over the ocean in the west. When my youngest son and daughter-in-law moved to Tampa, that wish seemed even more doable. I could watch the sun come up in West Palm Beach with my older son and his wife and then somehow travel across Florida to the Gulf Coast and watch it set over the beach there. Today is to be that day. The internet had said sunrise would occur at 7:09 am. I had stared at my computer screen. What was this other time 15 or so minutes before sunrise? Dawn. Yes, dawn was the real time that I should be on the beach, pulling off shoes and socks and walking barefoot onto the sand. Sunrise was just one moment, but I longed to be there from the time the sky began to lighten with streaks of pink and gold. I wanted to watch the first light play on the waves. I wanted to stare out onto the horizon at the lights of far-away cruise ships and closer barges. I wanted to see the birds skitter across the sand in the early light. I needed be able to look down and see the treasury of sea shells grow ever easier to see until I spotted just the right ones to take home and seal this memory forever. Now the time has arrived. I am not alone. My son and daughter-in-law are excited too. Had they ever arisen so early just for the fleeting moment of sun playing peek-a-boo with clouds over the vast ocean horizon? They look at each other and laugh. Yes, there was the time they had been awake all night and celebrated sunrise together at the end of the day. And then there was the time they had driven the 20 minutes to Lake Worth where my husband and I were staying for the month of June 2011. I had been raving about the sunrise on Lake Worth Beach and they finally promised to join me. It was pouring rain that morning though, and we sat sheltered in the Florida room (porch) of the little house watching for the sun that didn't peek through those clouds at all until later in the day. My husband has shared several sunrises with me. In the Lake Worth summer, we loved to wake up early, put some coins in our pocket for the meter at the beach, take the 5 minute drive and then walk down the sandy beach to the water's edge together. He set up his chair and I walked up and down in the sand and into the waves with him as my anchor. We gathered shells, watched the colors and the light play on the horizon and the water until we thought our half-hour was up on the meter. Then we climbed back into our son's old loaner car and headed back to our home away from home where the duties of getting our three granddaughters to drama camp that morning awaited us. But today! Christmas Day in West Palm Beach! My husband and I and our son and daughter-in-law climbed into their newer car, a compact two-door maroon colored Ford named "Bippity-Bop." Daughter and I in the back and son and husband up front. We arrive in 10 minutes and head for the beach, laughing in anticipation. I am torn between walking slowly down the beach, enjoying every moment and racing to the water, tumbling quickly into the day's adventure. The water seems cool to my feet at first and I stop to roll up my pants for the waves that I know will eventually creep up my legs as I can't resist just one more step out. We take photos, but I know there is really no way to capture this moment - this moment? No, this is more than a moment. It started not at 7:09, but 6:45. Well, maybe in 2011. Or was it even earlier than that that I dreamed of sunrise and sunset over ocean? My daughter's photos from Australia? My youth trips to California? Or maybe even farther back to earth's beginning. The sun bursts forth at last and the sky grows more gold. Then clouds play across its face and the sky is colored in front of us, behind us and on all sides. I spin around, laughing at the joy of being alive today. I gather shells, trying to stay conservative in amounts gathered, and my son finds a perfect white feather for me. I carefully wash them all in the warm waves of the southern Florida salt water, and we head back to the car. Next on our agenda is to dispense with the wonderful business of Christmas morning. The morning's start hovers over our gift-giving and gift-receiving with the sweet spirit of love and laughter until at last we load the car and head for Tampa. Actually Lutz, Florida. December days are short and we know we have to be there by the internet-researched time of 5:42 pm, sunset on Florida's west coast. But the day seems timeless and the hours pass quickly until we pull into the parking next to our youngest son's apartment building. Merry Christmas! More gift-giving and receiving, dinner's aroma is rising from the crockpot and there is a moment when we question if today is the day for further travel. It's an hour to the beach, the western Floridians tell us. But the recommended spot is Treasure Island Beach and the whole idea continues to catch at our imagination until we hurry to the cars to seek our goal there. Yes, our goal. The dream we are chasing is no longer just mine. Husband, son, and daughter-in-law are fully invested from our early morning events and the younger couple are quickly enlisted. They knew our plan and were waiting to join the fun. We are racing the clock and Tampa traffic to arrive in time, to a beach from our daughter-in-law's rich treasure trove of childhood Florida memory. I ponder the time. We calculate that we will arrive just at the designated time, without the anticipatory dawn to sunrise minutes we experienced early that morning. It's enough, I decide to myself, and at last we are here, walking out onto the sugar fine white sand. The clouds had been gathering and threaten to block our view, but they break just at the point of the setting sun, and the rich oranges and pinks peek through to streak the sky. We gasp at the beauty; we compare the beaches and the colors. We pick up rich treasures of sea shells once more and turn to head back home to Lutz. "Wait," my daughter-in-law stops us with her delighted cry. "Look back." Ah, there's more to see and experience. We can't go now, the show is just beginning. Like the sunrise this morning, the sunset is more than a moment. The sky again is colored all around us as we turn in every direction. And the colors play through the clouds, more intense and then finally, less so. The wonderful Christmas of my dreams is over. But is it? There is a long evening ahead and then many more days of fun and family. A true story has no beginning, I have heard, and no ending. And that is the beauty of it. What will 2013 bring? I'm working on a new dream for this year and you are too. Maybe our dreams will bring us together for days of delighted and shared joy. Surely we will record them to remember and to re-live. I hope so.